to the bucket and therefore closes as the bucket rises. the bucket is filled, it sinks and causes the valve to open. compact than the mechanical steam traps just described. valve then opens and allows the condensate to drain. mechanical, (2) thermostatic, and (3) flash, or impulse. Figure 15-19 shows three types of lavatory traps. low-pressure use. 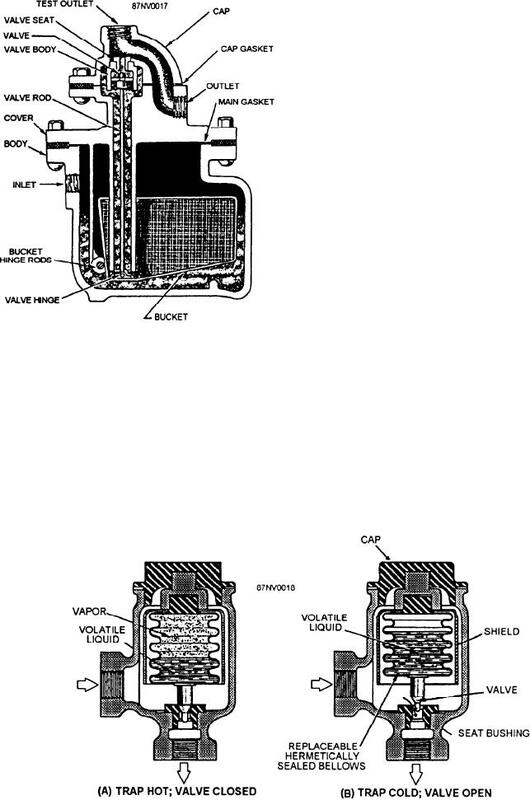 The bucket-type steam trap (fig.